Collateral form analysis is something that features heavily in our previews of football games at this time of year so we thought that it would be a good idea to explain the concept in greater detail, including why it is valuable in unearthing bets that can pay out at relatively long odds. There is a saying in football that the league ladder does not lie. Well, it does and sometimes it tells really huge porky pies, particularly in the second third of seasons when, due to scheduling, there are bound to be some sides that have endured tougher early itineraries than others. Saturday’s Spanish Primera Division grudge match between Betis and Sevilla (featured here) is a classic example of how collateral form analysis can uncover a statistically strong bet. And one does not need to be a mathematical genius to use it. Fifteen rounds into the Spanish Primera Division and Betis, which is back in the top flight after one season out of the elite, is 11th on 19 points. Sevilla, which qualified for the UEFA Champions League by winning last term’s UEFA Europa League, is seventh on the Spanish Primera Division ladder with 22 points. Even though Betis will host Saturday’s Spanish Primera Division derby, bookmakers have installed Sevilla as the clear favourite to take out the game. Bookmakers are not stupid. They know that the majority of punters will bet without conducting an enormous amount of research. Sevilla is a more fashionable team than Betis. Sevilla has won each of its last three matches across all competitions, whereas Betis is without a win in three. And Sevilla is above Betis on the Spanish Primera Division ladder after nearly 40 per cent of the tournament. But one’s Spanish Primera Division collateral form analysis suggests that Betis has performed better than Sevilla in the first 15 rounds and not by a small margin. Betis and Sevilla have had 12 common Spanish Primera Division opponents, with the city rivals both running into Atletico Madrid, Celta, Deportivo, Gijon, Las Palmas, Levante, Malaga, Real Madrid, Sociedad, Valencia, Vallecano and Villarreal. By comparing the results of Betis and Sevilla against these 12 Spanish Primera Division sides it is possible to form a logical, unemotional opinion as to which one is the stronger team. Ask 100 bookmakers and 99 of them would agree that home advantage in a league such as the Spanish Primera Division is worth approximately half a goal. So let’s look at a common Spanish Primera Division opponent of Betis and Sevilla that has hosted one and visited the other – Sociedad. Betis beat Sociedad 1-0 at home in the Spanish Primera Division third round so one rated the Green and Whites as 0.5 goals superior to the Royals. Sevilla lost 0-2 at Sociedad in the Spanish Primera Division 12th round so one rated the Red and Whites 1.5 goals inferior to the Royals. Therefore, the Spanish Primera Division collateral form line featuring Sociedad favours Betis over Sevilla. Betis and Sevilla have had 12 common Spanish Primera Division opponents. It only takes a few minutes to crunch the numbers and find that seven of the Spanish Primera Division collateral form lines favour Betis (Atletico Madrid, Celta, Las Palmas, Levante, Malaga, Sociedad and Vallecano), two of them favour Sevilla (Deportivo and Real Madrid) and three are ties (Gijon, Valencia and Villarreal). Yes, Sevilla is a more famous brand than Betis. Yes, Sevilla has beaten Gijon, Juventus and Logrones without conceding a goal to go into its Spanish Primera Division derby against Betis with three consecutive victories under its belt. And yes, Sevilla is higher than Betis on the Spanish Primera Division ladder with a much better goal difference. But do you want to back Sevilla at around even money to win at Betis now that you have seen the results of one’s Spanish Primera Division collateral form analysis? Surely not. Eventually, the Spanish Primera Division ladder will stop telling lies and one will be able to trust its positions without poring over dozens of individual results. But for the next six to 10 rounds it is worth performing collateral form analysis not only to highlight sides that bookmakers are underrating but also teams that layers are offering at unjustifiably short odds. This weekend, for example, Watford is far too big to get something out of its English Premier League home game versus Liverpool (featured here) and Schalke is too short to derive maximum points from its German Bundesliga home match against Hoffenheim (featured here). 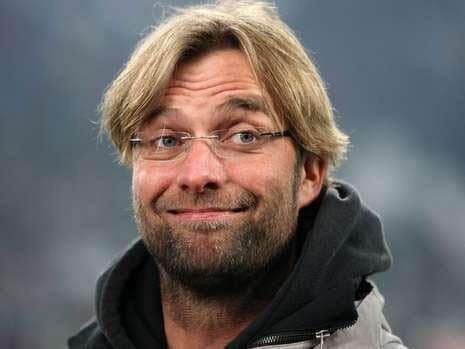 Watford enjoys a 6-6-2 English Premier League collateral form lead over Liverpool, while Schalke is level with Hoffenheim on 7-2-7 even though the teams are miles apart on the German Bundesliga ladder.